If you recall, a few months ago I wrote of how Kmart sold me a bag of potting soil with fungus gnats, and soon every plant in my house and office seemed to be infested. I detailed every single tactic I found to try to get rid of them. I tried drying out the soil, but even after all the dirt was bone dry and the leaves started to wilt, watering seemed to bring back the gnats with a vengeance. I tried sprinkling cinnamon but gnats keep showing up. 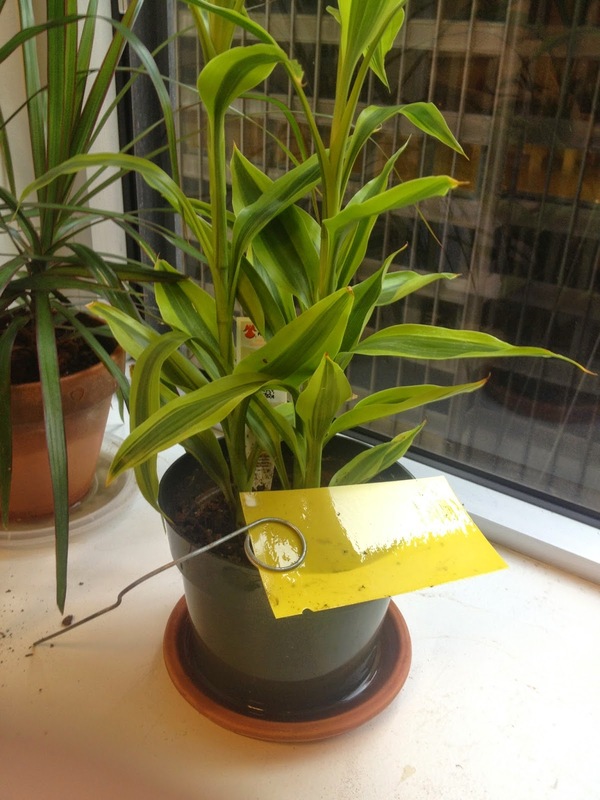 I bought 100 Yellow Sticky Traps , enough to put and put 1-2 on every single plant. While they do a great job of trapping adults they don't seem to be stopping new larvae (remember that it just take one gnat to get through the perimeter alive to lay 200-300 eggs). Finally, I went to both Gardener's Supply Company and Amazon to buy nematodes ; none of them seemed to work the first time around which I attributed to them being fried during shipping. But even when I requested replacements, they didn't work either. Drenching the plants with Hydrogen Peroxide didn't seem to do much either. No more Mr. Nice Guy. It was time for me to turn to Gnatrol (You can purchase Gnatrol for a reasonable price at Amazon) . I've admittedly been resisting this option because I've heard that Gnatrol is a "pesticide", and I wasn't keen on adding "dangerous chemicals" to my plants. After all, the point of growing these plants is for me to clear the air, and the last thing I need is for my plants and soil to be poisoning me. But that's when I did my research. At first glance, Gnatrol sounds scary. It's a "larvacide" with an active ingredient called "Bacillus thuringiensis subsp. israelensis", or Bti. Did I really want to put bacteria into all my houseplants? I mean, putting live parasites (the nematodes) was freaky enough an idea to get used to. The song "I know an old lady who swallowed a fly" kept ringing through my head. But after reading more about it, Bti is as close to a miracle fix as modern science has come up with. First of all, what they sell isn't live, viable bacteria; the toxicant that kills the larvae is actually a part of the Bti spore. It was actually discovered in 1976 in Israel from scientists who isolated the bacteria from dead mosquito larvae. It's a substance that's deadly to mosquito larvae (as well as larvae of blackflies, midges, and fungus gnats). 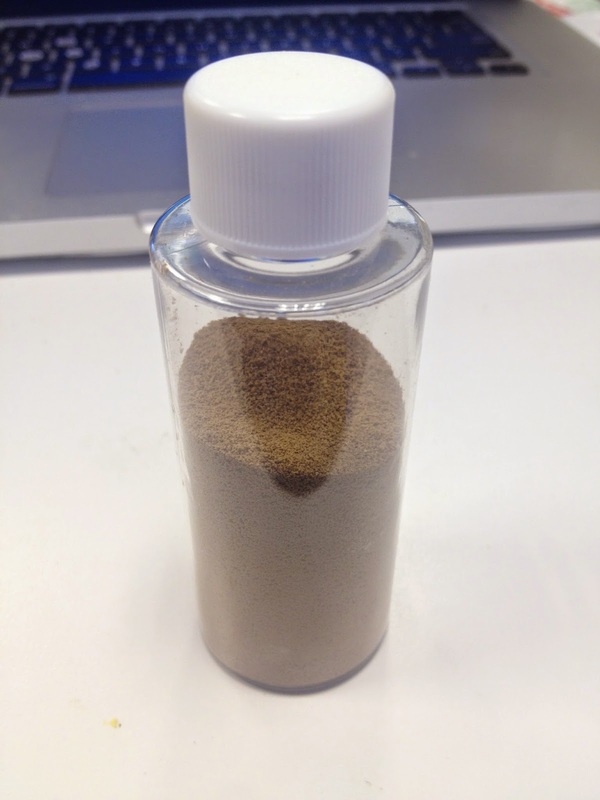 Specifcially, Bti releases special protein crystals. When the larvae eat them, the alkaline nature of their digestive system causes these crystals to dissolve and be converted into toxic protein molecules that destroy the inside of the larvae's stomach. Long story short, they can't eat and then they go off to that giant Golden Pothos in the sky. Here's the cool thing about it--because humans, animals, birds, and fish have acidic and not alkaline digestive tracts, the Bti toxins don't have any effect on us. In fact, Bti is used in mass quantities by cities and municipalities worldwide to control mosquito populations. Because it's a bacteria that's found naturally in soils anyway, there's less fear of using it than more dangerous chemical solutions. Another thing that's nice about Bti is that once it's released, the active ingredient will dissipate after about 72 hours, so even if it were harmful to humans, the exposure is limited. Gnatrol is a consumer version of Bti. I bought the bottle from a seller on Amazon for $2.69 + $5.49 shipping. Now we all know shipping this tiny bottle can't cost $5.49, but still, if I can spend under $10 and get rid of all the fungus gnats, it'll be money well spent. The bottle you buy for $10 looks tiny, but because all you need is 1/2 teaspoon per gallon for mild infestations and 1 1/2 teaspoons for heavy infestations, this bottle should last for multiple waterings, hopefully enough to eradicate all the fungus gnats. It has a shelf life of about 2 years, so it doesn't make sense to hoard it--at under $10 it's affordable to get infestation by infestation (which hopefully will be years apart). 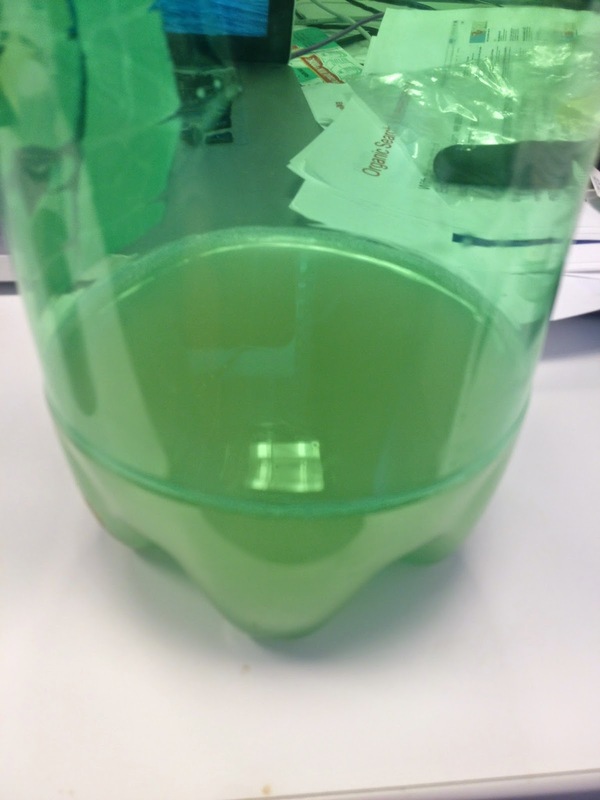 To use it, I went a little on the heavy side and added about 2 tablespoons to a gallon of water and drenched the soil, When you mix the water and the granules, you end up with basically a bottle full of bacterial gunk, which looks like brown water. 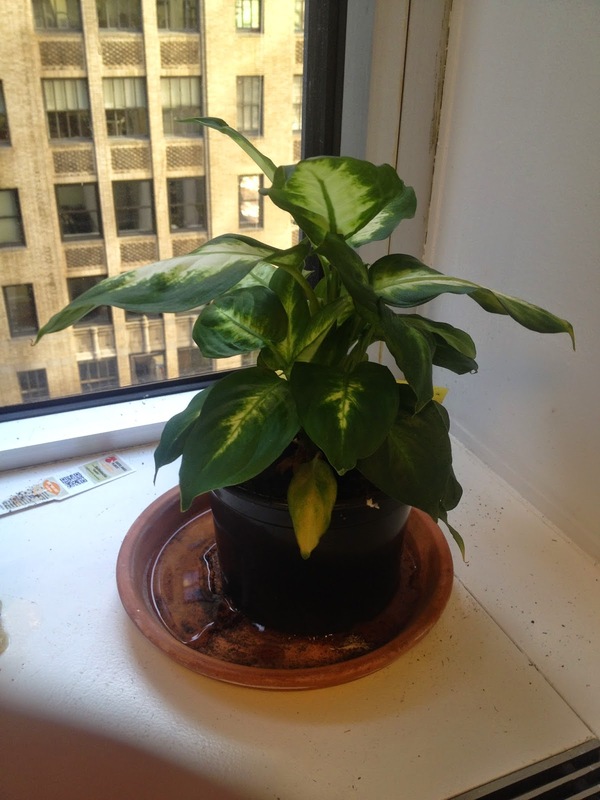 I then went plant by plant, watering it so that the soil was thoroughly moist and a little bit drained on the bottom. For a few plants where I thought there were no fungus gnats, a few gnats flew out when I watered them. Hopefully this will put an end to them once and for all. I put a fresh set of yellow sticky traps over each plant to see how effective the treatment will be. So far, I'm cautiously optimistic. While I'd typically see 10-20 (or more) gnats on the sticky traps, a lot of them are clear now, or have 1-2 gnats. They do say to re-apply the solution three times a week. This is because Gnatrol will not affect adult flies after the pupae stage, so if some adults decide to lay more eggs you'll have a fresh batch of Bti for their young ones to feast on. If you look at the Amazon reviews, most of them are glowing, but some of them complain that the Gnatrol only made the problem worse. In these cases, the likely culprit is that the seller sold them really old granules that were no longer potent, so ironically while they were thinking they were filling the soil with Bti, they just ended up re-watering the soil, creating more fungus, and making it a breeding ground for gnats. In my case, though, the gnats definitely appear to be finally getting under control. Since I did this about two weeks ago, the number of gnats definitely appear to have lessened both at home and in the office. The biggest test was on the Boston Fern from Kmart that had been infested from day one. 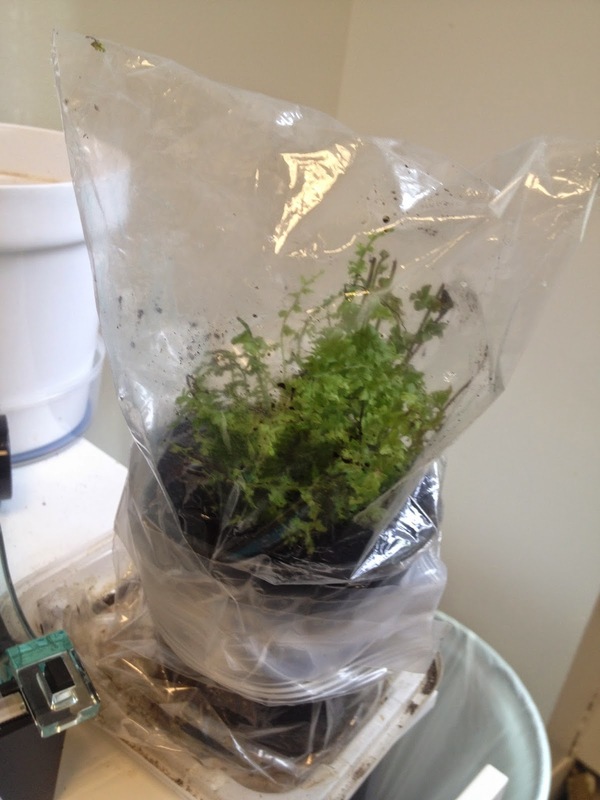 The infestation for that had gotten so bad that I enclosed it into two sandwich bag, partially to serve as a greenhouse, but partially because there were so many gnats coming out of this plant it was clear that the roots were thoroughly infested. It sounds a little nasty, but every morning I'd see new gnats buzzing around in the bag and then squash them. This was ground zero in the war against the gnats. As you can see, the plant is barely larger now than it was many months ago; this is almost certainly due to the gnat larvae feeding at the root. I think what kept the plant fighting was putting it in the bag, where it got ample humidity (something that ferns need). My first instinct after writing about this plant so many months ago was to toss the plant in the trash, but I felt that would be conceding victory to the gnats. No, I was going to fight this. So I did everything I mentioned in my last post on fungus gnats, to no avail. But I have it a good drench in the Gnatrol which finally seems to be doing something. I still see and squash one or two gnats every few days, but the problem seems to be a lot more under control. My hope is that eventually I'll go weeks without seeing one gnat, and then I'll finally be able to properly repot and fertilize this plant and hopefully see it grow again. It's honestly hard to say if it's too late for this little guy, but fingers crossed. I've heard a trick is to first bake in your oven potting soil because its full of insects.